This post is soo late, but I’ll do it anyway. 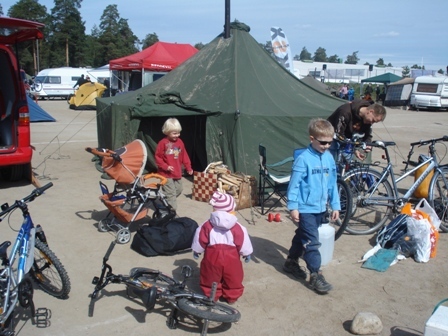 On the Constitution day of Norway, 17th of May, our cycling team Snigel Speed with young and older re-enforcments had the pleasure to participate in the ninth Lohja 24 cycling charity event. This makes it the sixht time for Snigel Speed and fifth for me. 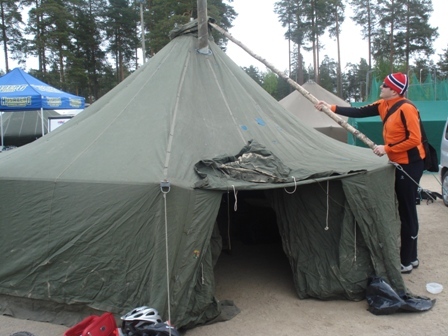 This year I had Ellie as a visitor, so I left the XC riding to the tough guys and went for the scenic side event ride around Lohjanjärvi (70 km) with her. Ellie is a tough girl. Rain and hard wind for over half the distance, but not a word of complaint. That is the spirit; Cycling is fun, come rain or come shine. 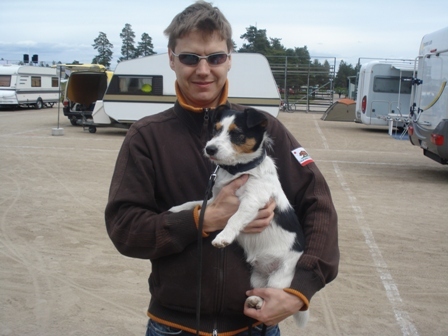 Tero again took responsibility of bringing a guard dog. This time Kerttu. Deja-vu feeling. We ALWAYS forget to put the freaking bag over the tent pole! 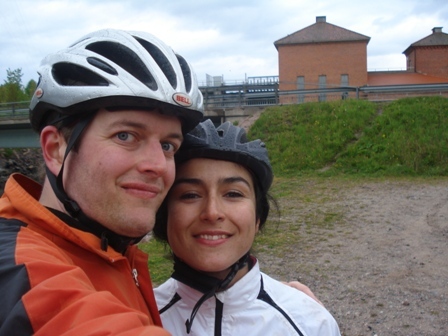 Me and Ellie smiling after tens of kilometers of rain and wind. Sauna and jacuzzi awaits!